Ahh, it’s that time of year again, the holidays. Time to take a break from our daily routines and celebrate with those that matter most. From friends to family to coworkers, it’s nice to take a step back and realize there’s a lot to be thankful for. Whether you’re thankful for them or not, with the holidays come parties — lots of them. Miss Manners herself, Emily Post, says as a guest it’s your job to put your best foot forward. She also advises you to put away your phone. A recent Asurion survey found that’s easier said than done. 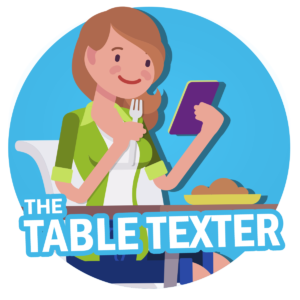 We surveyed more than 1,300 people about phone manners and we learned that 51% said it’s annoying for others to be on their phone while eating/drinking with friends and family. However, nearly 60% of those same people said they’ve checked their phone in that same scenario. Whether it’s an office party, a friendly get-together or a family event, here are four guidelines to ensure you’re the most polite guest at the party when you use your phone. Yes, phones are great for capturing funny moments: however, just because you have a video of Aunt Ethel standing on the table chugging eggnog does not mean you should share it. Here’s a rule of thumb for holiday party posting manners – ask before you post. Yes, it’s funny, but that doesn’t mean it needs to go on the internet. Your life will go on without that one viral video of your coworker at the holiday party snoring on the couch cuddled up with a stuffed reindeer. 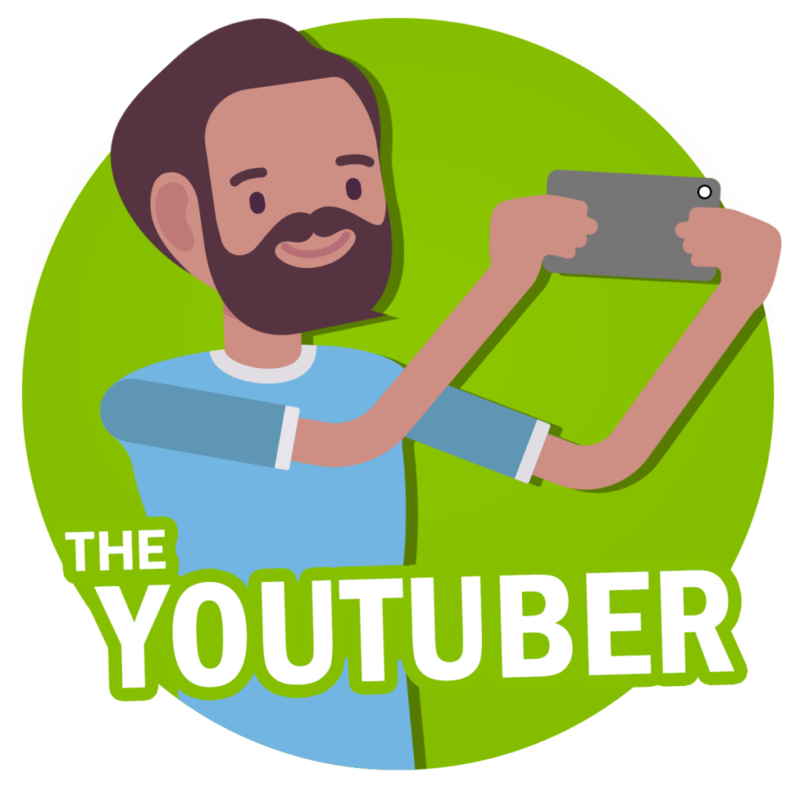 You won’t be able to quit your job to be a YouTube star, but trust us, they’ll appreciate your discretion. We get it. Your phone is your best friend that lives in your pocket. It’s your only life-line to the outside world, but when you’re at the dinner table, it’s best to put it away. Your group chat can wait while you eat and engage with the people around you. Like Miss Manners said, “Your job as a guest is to display enthusiasm, consideration and thoughtfulness” – appearing withdrawn and disconnected is noticeable to those around you. Tip: Don’t put your phone on the table. Accidents happen when a table of 20+ people are passing the turkey, the stuffing, mashed potatoes, gravy… the list goes on and on. 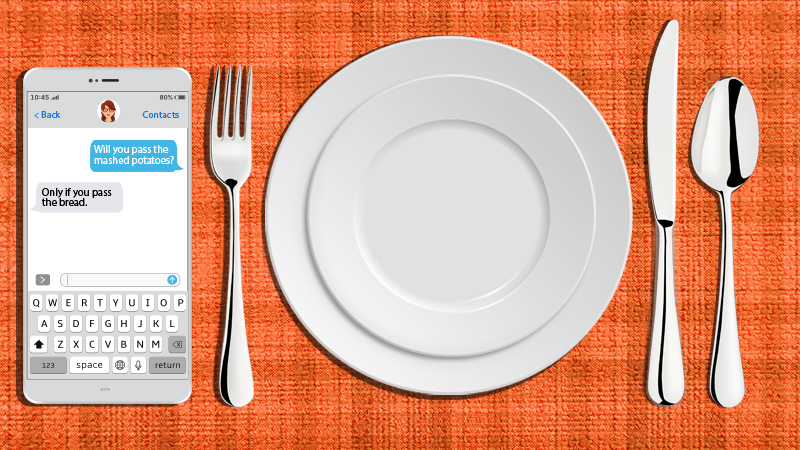 While you might like your meal doused in gravy, your phone may not appreciate that extra flavor boost. To ask or not to ask, that is the hotly debated question. While you want to stay connected without using your limited data, the holidays bring friends and family together from all over and puts them under one roof. Sure, it gets old fielding questions like, “How’s work?” or “When are you and so-and-so getting married?” It’s face-to-face interaction that Grandma Lori wants. If there’s a need for Wi-Fi, there is no harm in asking. Are you in charge of playing music? Were you asked to FaceTime your cousin that couldn’t make it? Are you all playing a game that requires internet access? If so, you’re in the clear. If not, use discretion. Tip: Don’t ask the host for the Wi-Fi password in a room full of people. 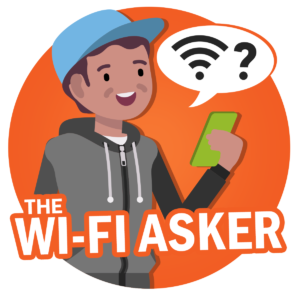 Avoid the Wi-Fi frenzy, ask quietly on the side. Take the picture, call the family member, answer the text, but remember: moderation is key. Enjoy the day. After all, the holiday season only comes around once each year. This is an essential job. However, with great power comes great responsibility. Even though people groan when it’s picture time, capturing these moments is important. You never know what can change in a year and taking photos of joyful times helps keep those memories close. What’s not important is spending time searching for the “perfect” filter. Don’t miss out on the memories because you’re trying to get everybody’s phone numbers to send the group picture out. Tip: Take the photo. Edit and share after the party. 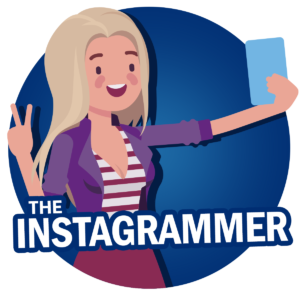 Throughout the holidays, every Instagram user will see their fair share of snow pics, food pics and present pics – trust us, your friends will still stop strolling to double-tap your picture no matter when you post it. Your phone is a fun distraction from awkward holiday moments, but be a good guest! After the party you can curl up at home, put on Netflix and scroll through your timeline to catch up on what you missed.